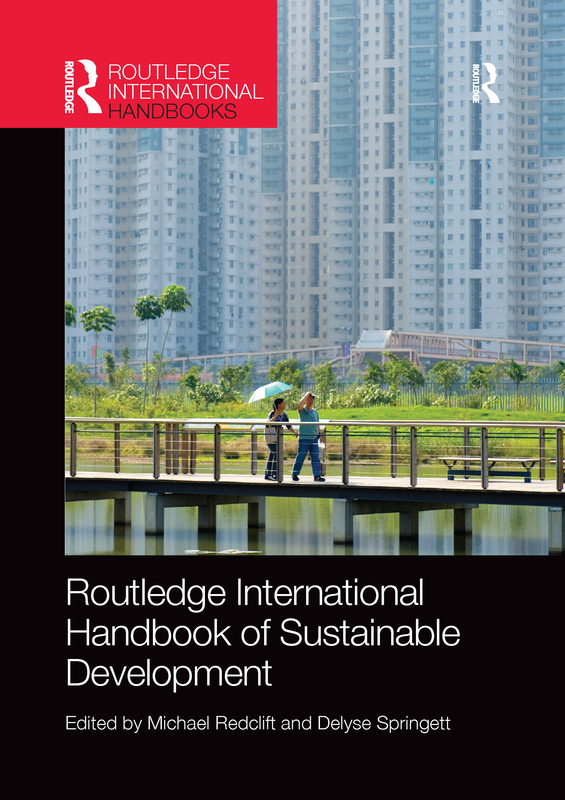 This Handbook gives a comprehensive, international and cutting-edge overview of Sustainable Development. It integrates the key imperatives of sustainable development, namely institutional, environmental, social and economic, and calls for greater participation, social cohesion, justice and democracy as well as limited throughput of materials and energy. The nature of sustainable development and the book’s theorization of the concept underline the need for interdisciplinarity in the discourse as exemplified in each chapter of this volume. The Handbook employs a critical framework that problematises the concept of sustainable development and the struggle between discursivity and control that has characterised the debate. It provides original　contributions from international experts coming from a variety of disciplines and regions, including the Global South. The Handbook offers researchers and students in the field of sustainable development invaluable insights into a contested concept and the alternative　worldviews　that it has fostered. Does illegality enable or undermine the sustainability of the globalising economy? Global change, islands and sustainable development: islands of sustainability or analogues of the challenge of sustainable development? Is managing ecosystem services necessary and suffi cient to ensure sustainable development? Food and sustainable development: how should we feed the world? China’s transition to sustainability: which direction to take?